To better understand the lasting legacy of international relations in the post-Ottoman Middle East, we must first re-examine Turkey's engagement with the region during the interwar period. 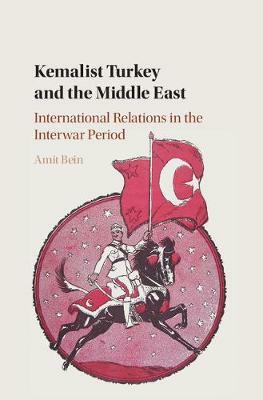 Long assumed to be a period of deliberate disengagement and ruptured ties between Turkey and its neighbours, Amit Bein instead argues that in the volatile 1930s, Turkey was in fact perceived as taking steps towards increasing its regional prominence. Bein examines the unstable situation along Turkey's Middle Eastern borders, the bilateral diplomatic relations Ankara established with fledgling governments in the region, grand plans for transforming Turkey into a major transit hub for Middle Eastern and Eurasian transportation and trade, and Ankara's effort to enhance its image as a model for modernization of non-Western societies. Through this, he offers a fresh, enlightening perspective on the Kemalist legacy that still resonates in the modern politics of the region today.